While this good work is being carried out by the CEB, a few employees are trying to tarnish the good image that is being created in the institution under the guidance of Minister Ranawaka. The LECO, a subsidiary of the CEB, is said to act in an irresponsible manner when it comes to reconnections. A recent incident points in this direction. A resident of Pepiliyana had failed to pay his 'red letter bill' on time and his power supply had been terminated in the morning. He had gone to the LECO office in Nugegoda opposite Yamuna Tours and paid the arrears and reconnection fee around 11.45 a.m.
After paying the penalty, he had met the Electrical Engineer who had faithfully promised that the connection ( AC No: 0706771109) would be restored before 6.00 p.m. 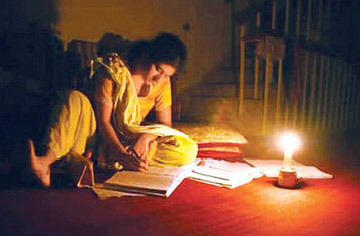 However, his connection had been restored only around 8.15 p.m. That too, only after over 10 calls were made to the Boralesgamuwa office by the customer who had to remain in total darkness even after making the due payments. LECO officials who carry out disconnections make it a point to write the time of the disconnection. However, this does not happen when the reconnection team arrives as there is no endorsement for the customer. "This is a loophole the reconnection team exploits," the above resident said. In addition, LECO which accepts foreign-based bank credit cards, do not honour the credit cards issued by some leading local banks, creating a major hardship to the customer. Subsequent to the media conference, when this matter was taken up with the General Manager of the CEB, her lukewarm response was that "these things could happen". However, members of the public who are now changing their attitude towards the CEB from negative to positive expect more responsibility from the CEB. In contrast, if a telecom line is disconnected, when the bill and fine are paid, the connection is restored within an hour. The National Water Supply and Drainage Board too reconnects water supplies before dusk. However, it's sad to note that LECO, a subsidiary of CEB, is acting in this manner when the Minister is taking a lot of pain to create a better image for the CEB. Officials should probe this matter and ask the reconnection party to act more responsibly as a person may be able to bear the loss of a water connection or phone connection for a day, but cannot get by without power, especially at night.